This entry was posted in Challenge 1: Man Booker Longlist 2014, Uncategorized and tagged 2014, man booker. Bookmark the permalink. 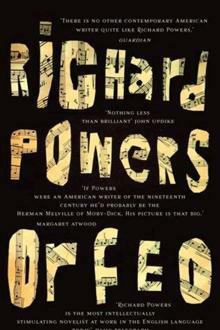 I love his novel ‘The Time of Our Singing’ where he also writes beautifully about the power of music, so I think I’d like this one. I’ll have to check that one out! He really impressed me with ‘Orfeo’ – it’s clear he knows his subject inside out and is extremely passionate about it. I’d love to read more of his. I’ve read a couple but The Time of Our Singing is fantastic.